HSC Result 2018 All Board. Ministry of Education announced the date of HSC result 2018. Higher Secondary Certificate which is called HSC and equivalent exams like Alim has been published on 19 July 2018. The authority told that students will get their HSC result 2018 on 19 July 2018 on the education board’s official website educationboardresults.gov.bd. For instance, HSC and equivalent exams were held on 3rd April this year all over the country. We will discuss HSC result 2018 and how to get the HSC result 18 in the rest of this post. This year, more than 1.3 million students appeared HSC or equivalent exam under 8 education boards. 8533 colleges/institutes take part in this exam in 2452 exam centres. Among the 1.3 million students, 6.54 lakh are boys and other 5.65 lakh are girls. HSC exam 2018 starts on 3rd April this year and theoretical exams end on 9th June. Practical exams complete from 11 June to 20 June 2018. Minister of Education Nurul Islam Nahid has visited the exam centres in Dhaka. You can get HSC result through the official website of the Education Board. You can find a form there. Now fill up the form accordingly, and then submit. You will get your result shortly. You can also get this HSC result through our website GreenEduBlog.com. To get your result to fill up the following form and then submit. You will get your HSC result soon. You can check your HSC result through SMS. To check your result through SMS, please do the following steps. Go to message option from your mobile. Now write a new message. HSC / Alim <Space> First Three Letters of Board Name <Space> Roll No. <Space> 2018 then send it to 16222. Then send the SMS to 16222. You will get the result via a return SMS. SMS charge will be applied for every single SMS. There is also another way. That is the traditional way. Go to your college or educational institute at 12:00 PM. Check the notice board of your college. You will get your result there on the notice board. When the internet was rear, it was the only way to get results. If you are looking for HSC Result for different boards, this section is for you. Follow the rest to know how to get Dhaka Board result, Jessore Board Result and others. Dhaka Education Board will publish HSC result at the same date and time. The date and time are 19 July 2018 and 2:00 PM. You can get this result from the official website or from our site also. As like as Dhaka Board, Rajshahi Education Board will also publish their result on 19th of the month. They have their official website to check Rajshahi Board HSC Result 2018 rajshahieducationboard.gov.bd. You can also get Rajshahi Board result from GreenEduBlog.com.
. If you are a student of Chittagong Education Board, you can get your result from the official website bise-ctg.gov.bd. If you want to get your result from our site, you can also get that. Jessore has a new name spelling now, Jashore. 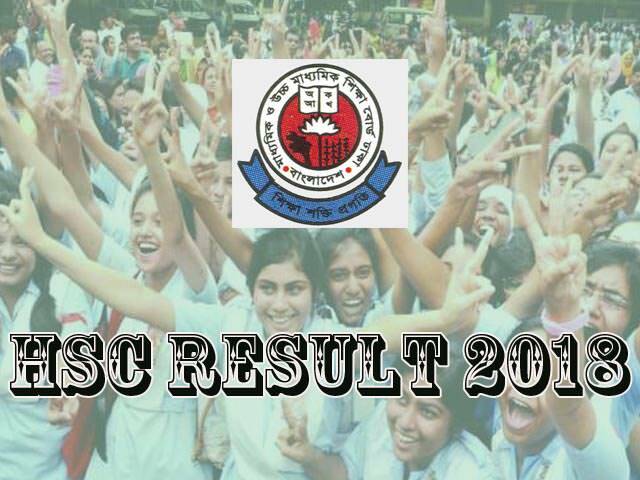 You may call it Jessore Board result or Jashore Board HSC Result 2018. You can get your result from the official website of Jessore Education Board jessoreboard.gov.bd. If you don’t want to visit the website at this time, you may get the result from our website. Dinajpur Education Board which established in 2006 will publish their result on their official website dinajpureducationboard.gov.bd. If you are a student of Dinajpur Board, you can get your result from the official website as well as our website. Barisal Education Board result has been published on their website barisalboard.gov.bd. You may get your result from the official website or from our website GreenEduBlog.com also. Board of Intermediate and Secondary Education, Sylhet is also known as Sylhet Education Board. Sylhet Board has published HSC result on 19 July this year. The result has been published on their website sylhetboard.gov.bd. You can also get your result from our website. Alim is an equivalent exam of HSC operated by Bangladesh Madrasah Education Board. If you are a student of Alim, you may get your result from bmeb.gov.bd or from our website. If you are a student of BTEB (Bangladesh Technical Education Board), you may get your result from the official website bteb.gov.bd. You can get your Technical Board HSC result from our website also. The above table shows the grading system of the HSC/equivalent exam. If you get 80% marks or above, you have got GPA 5.00 that means A+. If you get 80% or above marks in all of your subjects, you are the boss! You have got Golden A+. All news, updated information, results will be published on this page regarding on HSC exam 2018. Please bookmark this page. You may like us on Facebook to get every single update on your Facebook homepage. Share this page with your friends, so that they can get their results easily. Wish you all the best. Hope you guys all make a good result on your HSC and take preparation for University Admission.